You can quickly open a file that is included via the top files. Just press Ctrl+I.The Quick Compile Order View will pop-up and you can enter any regular expression to locate a file. Select and press Enter or click to open the file. 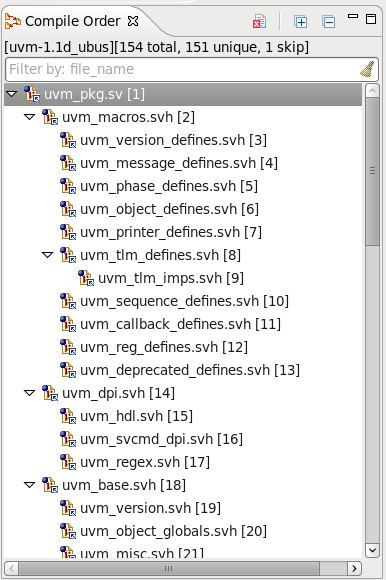 You can also see the include tree of the files in your project in the Compile Order View. Open the view from menu Window > Show View > Other... > DVT > Compile Order . 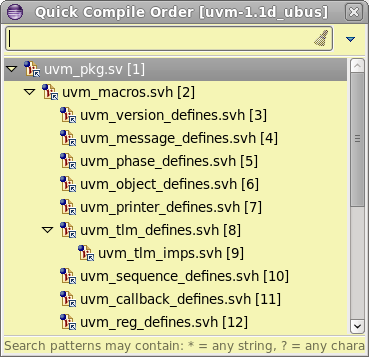 This is the Compile Order View.